Vespers is a sound installation by Jones/Bulley that composes a musical score in real-time, drawn from the online activity of the United Kingdom. Each day, the work begins afresh with a blank score, searching through the vast body of text and sound material posted online across the day, progressively composing a voice-led score that reflects and portrays our everyday concerns. Throughout the day, a number of invisible software agents search the web for new material — fragments of conversations within online communities, comments from forums, audio uploads to social media sites — mapping the nation's thoughts, ideas and concerns. 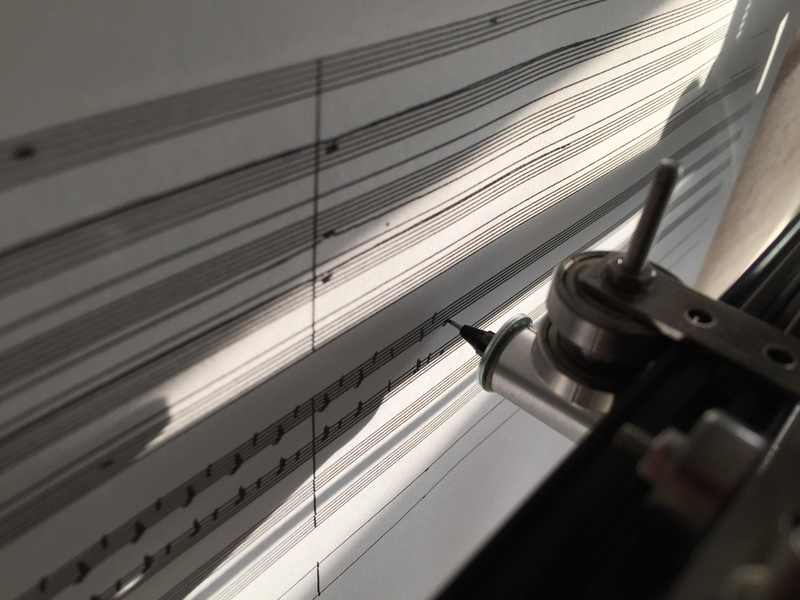 Encoded with knowledge of musical harmony and rhythms of speech, Vespers translates this online activity into a musical score, drawn in real-time by a unique drawing machine. Vespers is an installation work by Jones/Bulley (2015), commissioned by Southbank Centre and the World Wide Web Foundation.